(CBS) - I'm going to start this post off by saying not to try this at home (or anywhere else for that matter). 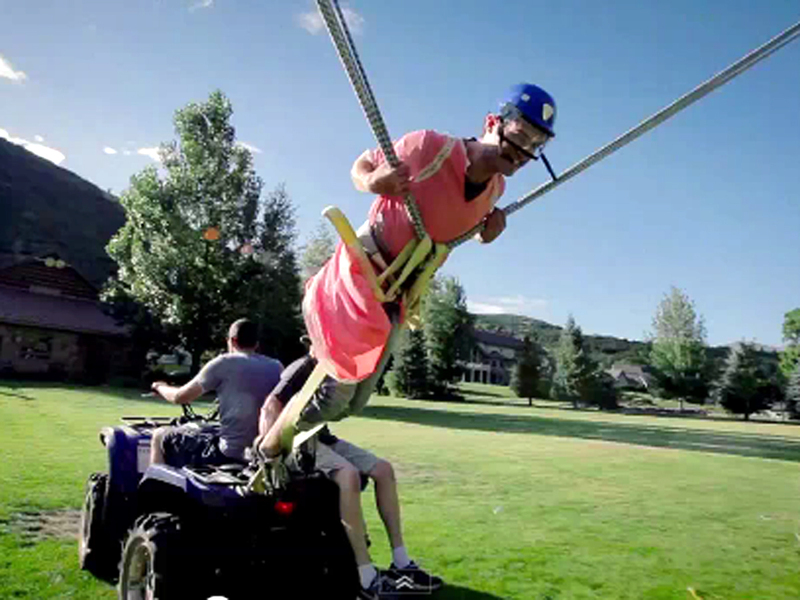 Okay, with that out of the way, I present to you an amazing video entitled "The Human Slingshot". Enjoy! To check out more videos by aaronsbot, you can go to his YouTube page by clicking here.